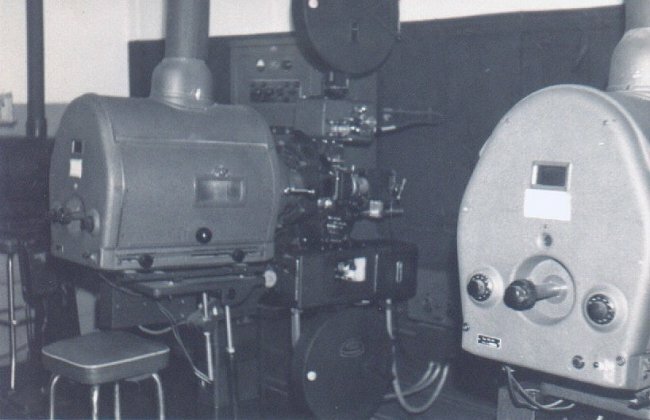 The station theatre, which is equipped with Cinemascope, shows movies twice nightly at 1800 hrs and 2030 hrs on Sunday, Monday, Tuesday, Wednesday and Friday nights. Thursday evenings are reserved for bingos or stage sgows. Matinee movies are shown on Saturday afternoons for the entertainment of the children and only one show is presented on Saturday evening. Extracts from 2 Wing Historical Reports pertaining to the Station Theatre. 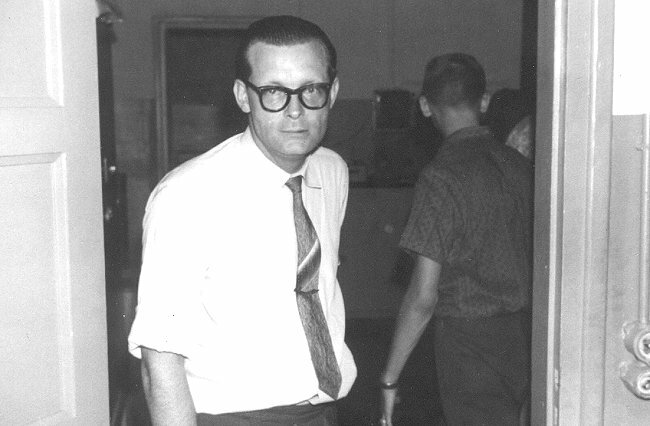 Trevor Croley (Manager of the Astra Theatre) and Barry Roegele, projectionist (back to camera) - September 1962. 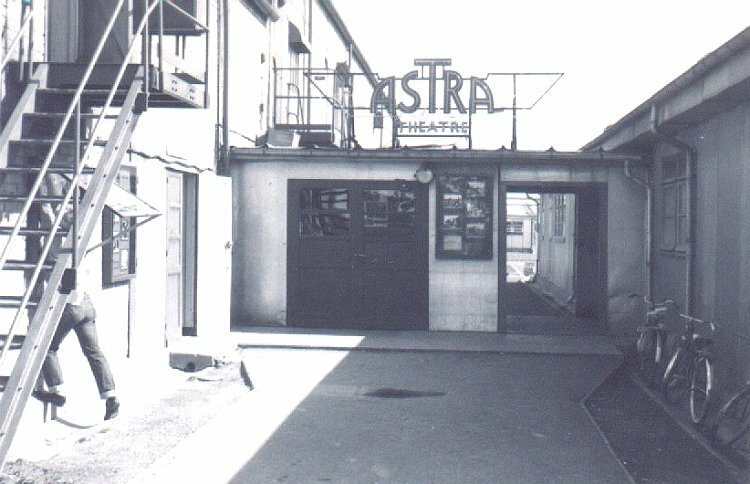 Exterior view of the Astra Theatre entrance - May 1962. 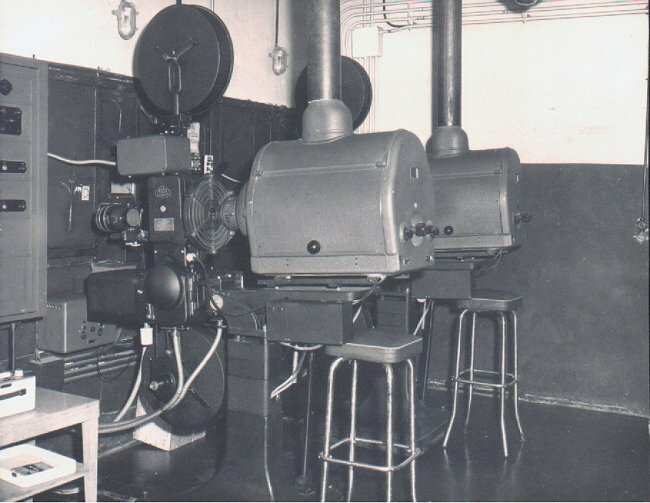 Zeis Ikon carbon-arc 35 mm movie projectors - May 1962. 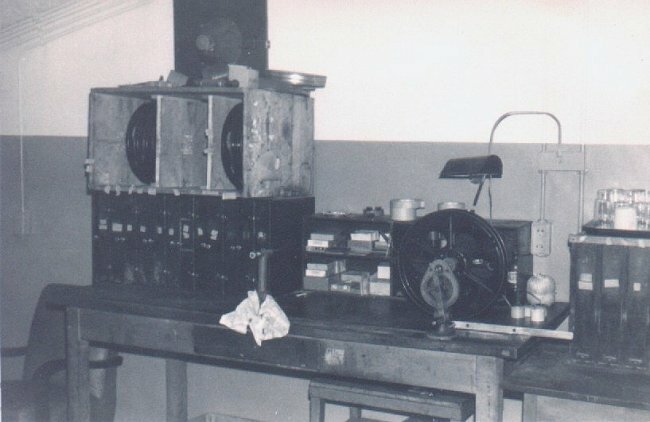 Rewind-splicing bench - May 1962. Concession stand at the Astra Theatre. 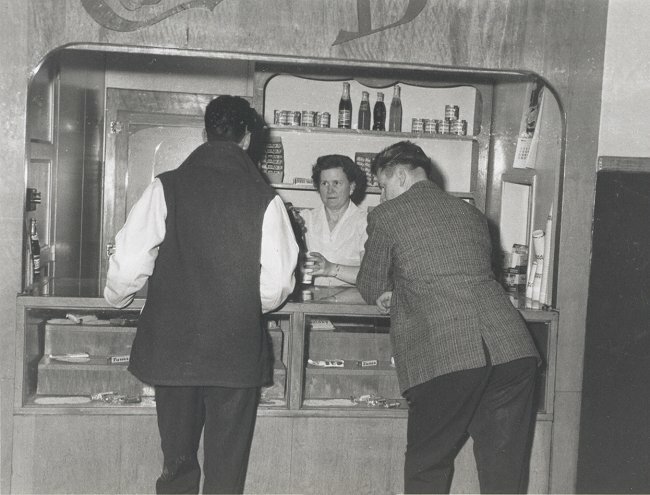 Ida Stewart behind the counter - October 1961. (L-R) Customers are Bob Graham and Brian Haynes. Courtesy Diane "Dee" Stewart (Hammond). 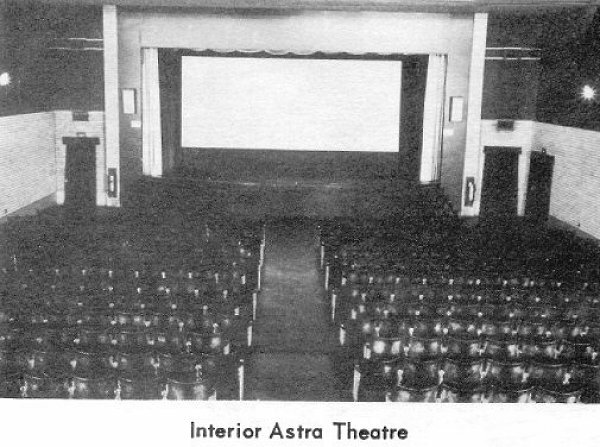 Interior view of the Astra Theatre - June 1957. 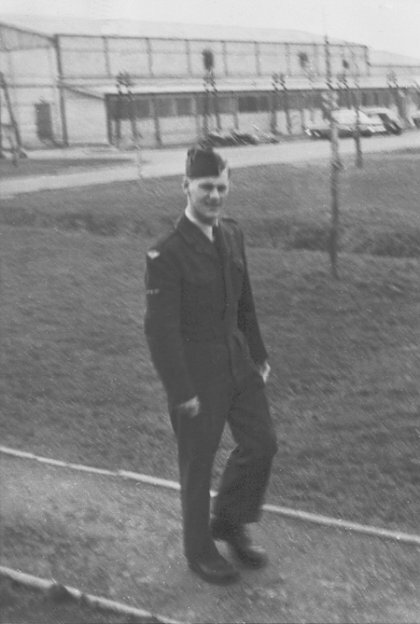 Fred Larsen from 423 Squadron walking home with the Station Theatre in the background - March 1957. Assorted photos of the "Travelling Light" variety show - October 1954. 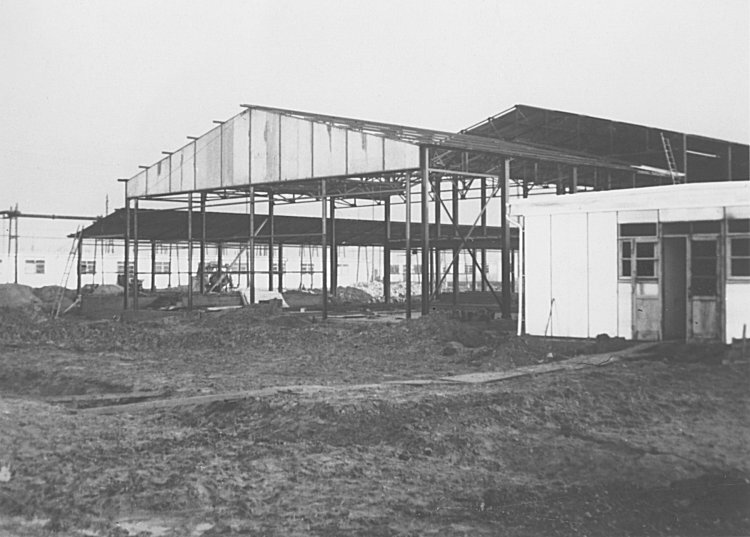 The station movie theatre under construction - January 1953. 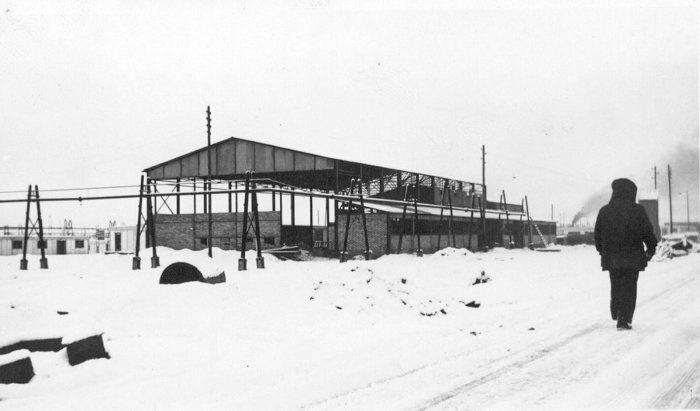 Station theatre under construction - December 1952. 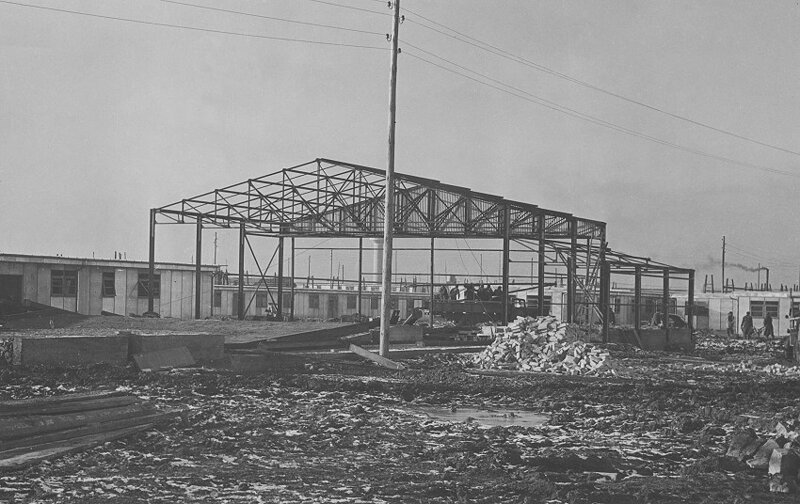 Station theatre under construction - November 1952.